Cocktail parties can be a very classy but fun event! The combination of cocktails being served together with music of your choice can make for a very cool event. If you are planning for a cocktail party Red Scooter can cater for all your needs. We pride ourselves in providing the best cocktail party venues in Melbourne. Our party experience is like no other. You can bank on our unparalleled creativity to give you an event that is unique. Your guests will thank you and beg to be on list for the next party that you throw. No cocktail party is too big or too small with Red Scooter because we will make sure to turn it into the event of the year! Our elegant style and elegant New York style decor and charm sets us apart from all of the other cocktail party venues Melbourne can offer. 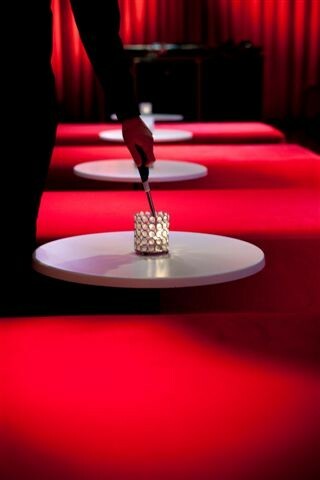 We will lend our expertise gained from years of experience in the Melbourne events and venue industry and add our own brand of creativity to deliver a cocktail party like no other. Red Scooter caters to a wide range of customers. We understand this diversity and that is why we will customise your cocktail party depending on the needs of our clients. We have sound proof walls that can easily divide the space to several different venues. Have fun all night long and there is no need to worry about bothering other events in the complex. Red Scooter has great venues to fit any occasions and any size party and particularly suited for cocktail parties in Melbourne. Dakota Room – The most intimate room with 100 to 175 guests. Hamilton Room – This is the main conference room and consists of the whole complex. It is perfect for large events and can comfortably hold 300 guests. Furthermore, we allow you and your guests to get easy access to and from the event venue in the heart of Melbourne. With our free on and off street parking, be sure that they can move safely to and from the event while being confident that their vehicles are safe as well, making Red Scooter one of the easily accessible cocktail party venues in Melbourne. Red Scooter is an award winning venue and you can visit us from Monday through to Saturday from, 10am to 4pm. We look forward to meeting you so we can create an amazing package for you. Looking for the coolest cocktail party venue in Melbourne? Call Red Scooter now to find out why you should choose us for your corporate function in Melbourne.